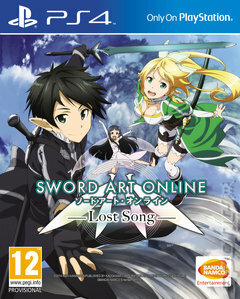 Sword Art Online: Lost Song is an Action RPG developed by Artdink for the PlayStation Vita and PlayStation 4 as the third game adaption on console for the series. Lost Song is set in an alternative ALfheim Online, but in the same timeline as the previous games, Infinity Moment and Hollow Fragment. Sword Art Online: Lost Song is the sequel to Sword Art Online: Hollow fragment. Taking place in the brand new world of ALFheim, take to the air with its aerial combat system, explore a new original story set against all new environments, with new quests and characters based on this incredible popular anime series. - A New Story: An original story based on ALFheim Online game coming with new and much loved existing characters, environments and quests. The story spans around 50 hours. - Strategic Gameplay: Partner with two other well-known and much loved characters to strategically attack enemies. - Aerial Battle: Experience 360° battles in the air with seamless transitions from ground to flight. - Various Weapons: 10 Different kinds of weapons are available and offer the player new and strategic ways of defeating enemies.